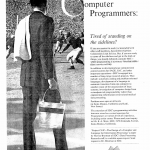 The first is an advertisement from May 1960 aimed at male computer programmers that plays on occupational and gender insecurity. There were many of these. 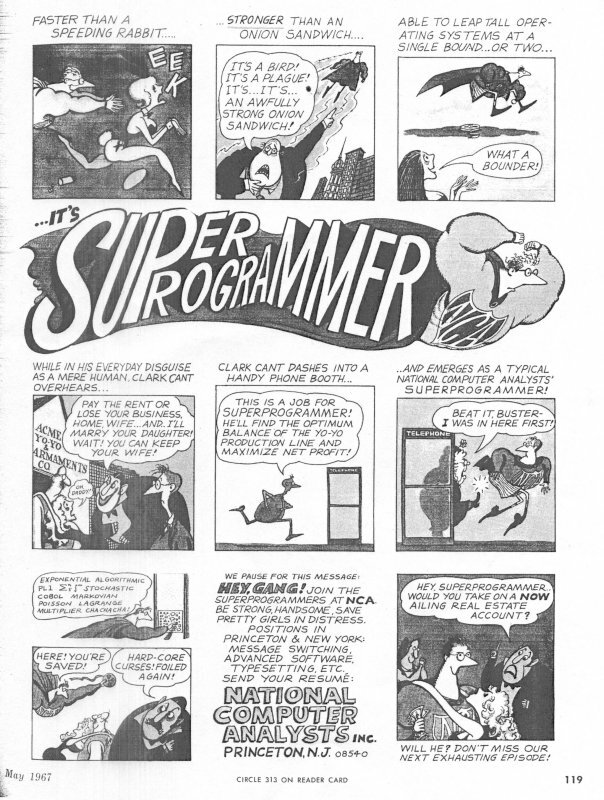 The second is an article from January 1963 by Valerie Rockmael entitled “The Woman Programmer,” which is about the opportunities (and limitations) for women in data processing (the contemporary term for what we would today call IT). 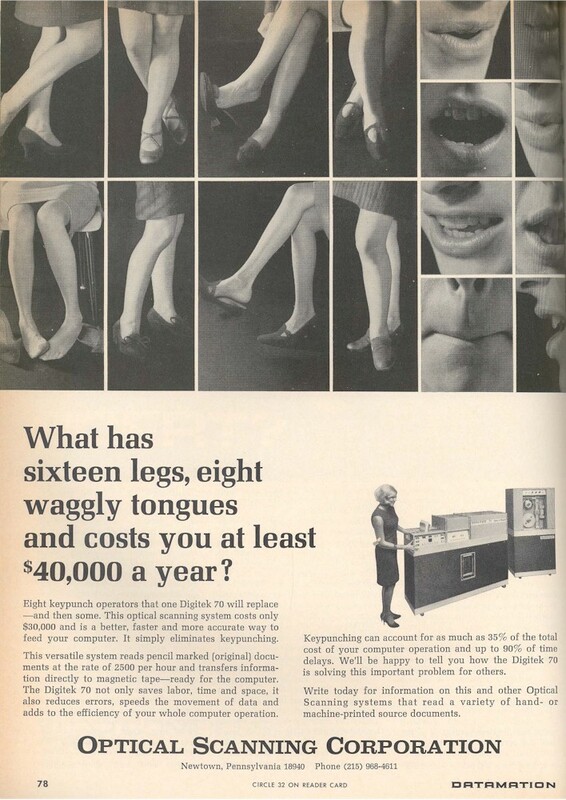 The third is an advertisement for optical scanner technology from 1968. 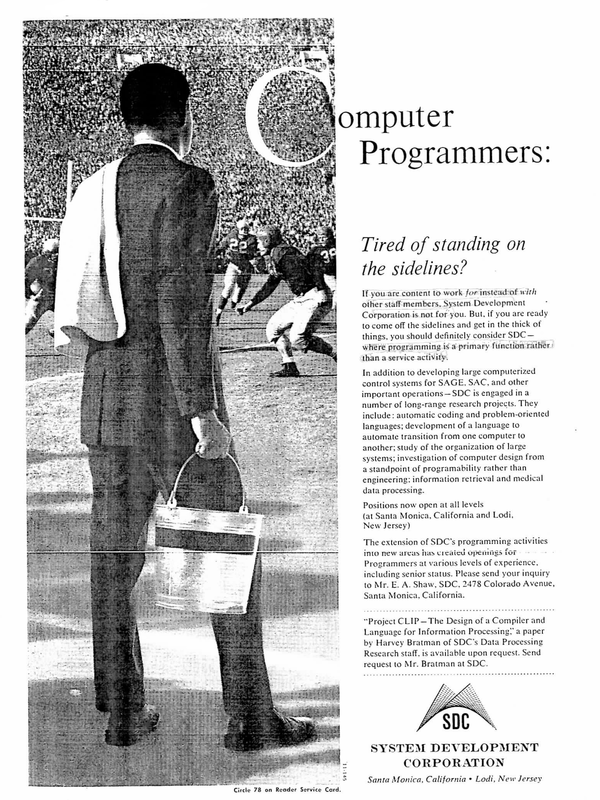 This was one of many ads in this period aimed at segmenting and automating computer labor and, more specifically, eliminating the kinds of work done by women. In this and many other ads from this period, women are used as a visual proxy for low-skilled or otherwise problematic labor. 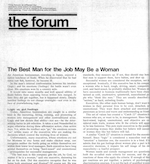 F inally, a remarkable article from 1968 called “The Best Man for the Job May Be a Woman.” (Actually, this is only remarkable by contemporary standards. 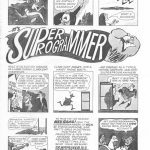 Even in the late 1960s, computer programming was surprisingly open to women — a situation that would alas change dramatically by the end of the following decade).